Jordan Brand is looking to hit strides once again this month with one of their newest models, the Jordan Flight-The-Power, which is slowly getting the attention of the sneaker market. 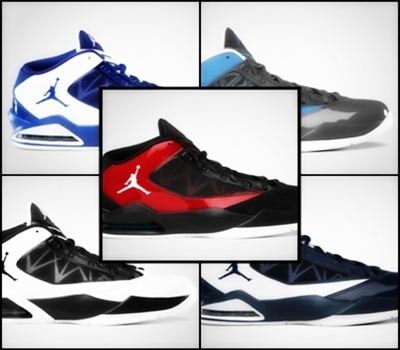 The Jordan Flight-The-Power, which looks like a combination of the Jordan Fly Wade and Air Jordan 2011 Q Flight, will be coming out in Midnight Navy/White, Old Royal/White, Cool Grey/White – University Blue, Black/White – Varsity Red, and Black/White – Metallic Silver colorways this February. All five choices looks elegant, giving you a lot of worthy choices to pick from!